Greetings! 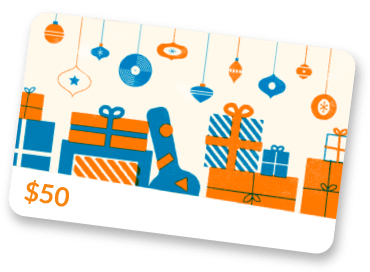 We are Mike's Music - located in Cincinnati, Ohio - and WE SHIP GEAR TO LOCATIONS ALL OVER THE WORLD!!! MIKE'S MUSIC NOW HAS TWO GREAT LOCATIONS! Our original store is located at 2615 Vine Street in Cincinnati - right next door to Bogart's. This location features 3 floors of amazing vintage gear! Our NEW location is located in Covington's Historic Mainstrasse district at 635 Main Street just a couple blocks from the I71/75. The Covington store is actually a huge, old theatre/music venue with over 300 vintage guitars, basses, and amps! Be sure to visit both stores - our Cinci store is only an 8-10 minute drive from our Covington store! 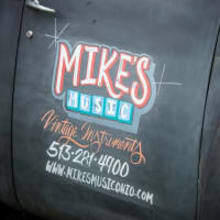 Mike's Music has been in the vintage guitar business for over 20 years! We are happy to be one of the leading vintage guitar dealers in the U.S. and beyond!